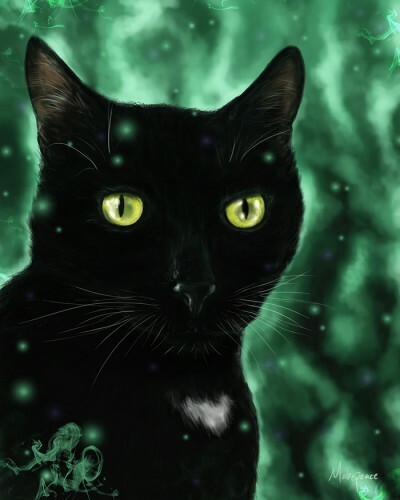 This year’s Halloween painting is a portrait of my studio cat Shadow, a.k.a. Attack Cat, who passed away suddenly in June. I still miss her terribly, but when I began thinking of what to paint for Halloween all I could see was her. She loved sitting with me while I painted and often followed me where ever I went, but she wasn’t very friendly with anyone else. Attack Cat wasn’t a misnomer. If a dog, three times the size of the cat, is afraid then you know you’re trouble. But from Shadow’s perspective she was only protecting her mother. The depth of her love for me was amazing. 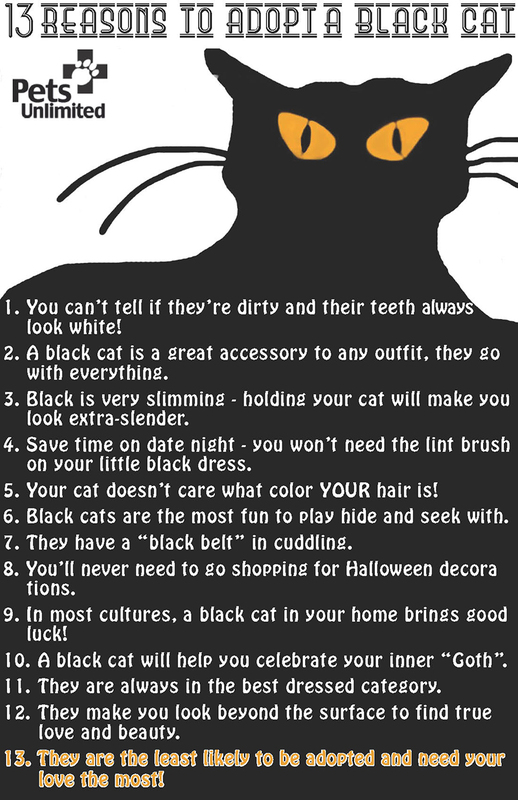 Black Cats have received a lot of flack over the years, but it wouldn’t be Halloween without them. Their bad reputation dates back to medieval Europe when they were thought to be witches familiars and agents of Satan. Poor kitties! Though opinions on black cats have improved over the centuries, they still face discrimination. They are far less likely to get adopted from shelters and they are far more likely to get euthanized than other cats. Please consider adopting a black cat this Halloween! Tagged art, black cats, halloween, makepeaceart.